Gordon Clinic is an Australian leader in private mental health care. We provide comprehensive and integrated mental health treatment in an outpatient setting based on a Clinical Model developed at the world renowned Black Dog Institute, Prince of Wales Hospital. 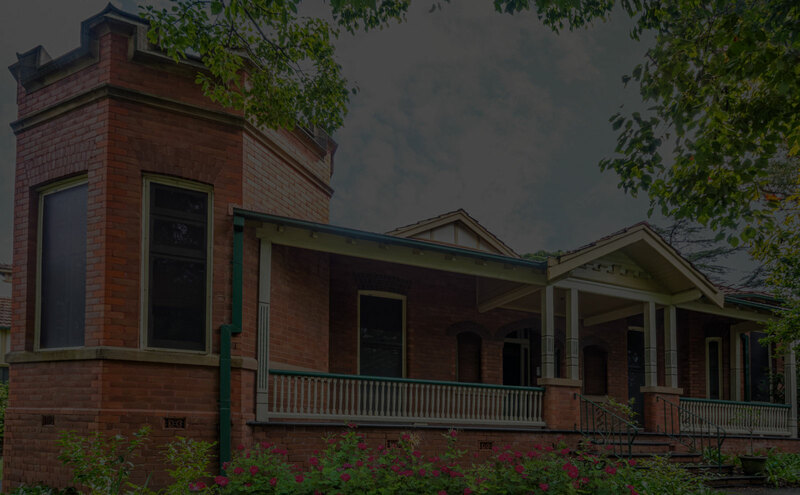 Located on Sydney's leafy north shore at Gordon, the Clinic is staffed by an experienced team of consultant psychiatrists and clinical psychologists who accept referrals from 12 years of age. Gordon Clinic is attached to Gordon Private Hospital a 57 bed inpatient facility and UNSW teaching hospital to be opened mid-2018. Let us help you to take your next step towards wellness and recovery. We are dedicated to delivering highly specialised and evidence based mental health care. Dr Dinah Bennett is a consultant psychiatrist. She completed her undergraduate medical training at the University of Sydney and then completed post-graduate psychiatric training in the United Kingdom (Edinburgh). She holds a postgraduate qualification in adolescent eating disorders. Dr Bennett is a Fellow of the Royal Australian and New Zealand College of Psychiatrists and has experience in the public and private sector treating a range of mental health problems including psychosis, bipolar disorder, depression and anxiety. She has a particular interest in cognitive behavior therapy. Dr Bennett sees patients from 16 years of age. Dr Caetano is a consultant psychiatrist and conjoint professor at the School of Medicine, Western Sydney University. His expertise covers most areas of adult psychiatry including bipolar disorders, psychotic disorders, depressive disorders, anxiety, phobic, panic and OCD disorders. He has published as author or co-author 87 papers, 16 chapters of books and 6 books covering different aspects of clinical psychiatry and psychopharmacology. Dr Caetano accepts referrals from 18 years of age upwards. Anna Carl is a clinical psychologist with specialist training in the treatment of depression, OCD and PTSD. She completed her university training in Germany and Sydney, and conducted research for her Masters at the Mood Disorders Unit of a private psychiatric hospital. Anna has worked in both private and public mental health care settings, and is experienced providing individual and group therapy for young people, adults and older adults. She has a special interest in perinatal mental health. With a focus on skills based therapy, Anna draws on CBT and ACT as her main therapeutic approaches but frequently incorporates DBT and schema therapy into treatment. Anna is dedicated to delivering evidence-based interventions while engaging with clients in a warm and empathic manner, and uses quantitative data to track progress in treatment. Dr Matthew Currell is a clinical psychologist and clinical neuropsychologist with an interest in the treatment of mood disorders, anxiety disorders (generalised anxiety, social anxiety, health anxiety, phobia’s and panic), obsessive compulsive disorder, post-traumatic stress disorder and low self esteem. Dr Currell has worked in a variety of mental health settings including public hospitals, private psychiatric hospitals and private practice (young people and adults). He is a firm believer of therapy being an educational process where people are able to walk away from sessions with improved knowledge and understanding of ways to overcome symptoms of concern. Dr Currell applies a range of evidenced based treatments that are grounded in scientific research. Dr Currell completed a Doctor of Psychology in clinical psychology and clinical neuropsychology at the University of Queensland. He holds full endorsements as a Clinical Psychologist and Clinical Neuropsychologist with the Psychology Board of Australia and he is a member of the Australian Psychological Society (APS) College of Clinical Psychologists. Dr. Guthrie is a clinical psychologist who has 19 years experience in the psychological treatment of anxiety and mood disorders. Dr. Guthrie has a Ph.D. in Psychology from the University of New South Wales in the area of post-traumatic stress and is a member of the APS College of Clinical Psychologists. She has worked in clinical psychology research and been the author of 17 peer-reviewed journal articles. She has also won a number of awards including an Australian Post-Graduate Award. Dr. Guthrie works at Gordon Clinic treating anxiety disorders (panic disorder and agoraphobia, social phobia, generalized anxiety disorder), mood disorders, obsessive-compulsive disorder and disorders following stressful life incidents (post-traumatic stress disorder). She employs Cognitive Behaviour Therapy (CBT) as the therapy of choice for anxiety, depression, post-traumatic stress, and obsessive-compulsive disorder as it currently has the most robust evidence-base. This involves changing unhelpful thought patterns and behaviours. Medicare Rebates are available for up to 10 visits/calendar year with a GP Mental Health Care Plan or a referral from a Psychiatrist. Dr Vivienne James is a consultant psychiatrist who has experience across a variety of settings in both the private and public sector. She is a graduate of Sydney University and a fellow of the Royal Australian and New Zealand College of Psychiatrists. Dr James has a collaborative approach to patient care. Her treatment plans are multi-modal and include psychological and social interventions as well as pharmacotherapy. Dr James accepts referrals for adolescents and adults. Dr Peter Jones is a consultant psychiatrist with a broad experience in both the public and private sectors. He completed his undergraduate medical degree in the UK and undertook his postgraduate psychiatry training in the UK and Australia. He is a member of the Royal College of Psychiatrists (UK) and a fellow of the Royal Australian and New Zealand College of Psychiatrists. He is currently the Clinical Director of Psychiatry at Bathurst Health Service and has previously held the position of Clinical Director at Macarthur Health Service. Dr Jones provides training, education and supervision to RANZCP accredited trainees. Dr Jones has extensive experience in the diagnosis and management of a wide range of mental health conditions with particular interest in the treatment of depression, anxiety disorders, bipolar disorder and psychosis. He sees patients over the age of 18. Dr Kumar is an experienced consultant psychiatrist who has treated the full spectrum of mental health problems in private and public practice. Special interests include mood disorders, bipolar disorder, sleep disorders, women’s mental health, perinatal issues and youth mental health (ages 16-25). Dr Kumar provides a comprehensive mental health assessment and individualised treatment plan for each patient, combining medication, psychological therapies and lifestyle changes. Dr Kumar takes a collaborative approach, focusing on patient education and building positive mental health. Dr Nicole Melidonis is a general adult psychiatrist who has a broad experience working in a wide range of psychiatric settings (both public and private). She trained both in the UK and Australia and is a member of the Royal College of Psychiatrists (UK) and a fellow of the Royal Australian and New Zealand College of Psychiatrists. Dr Melidonis is well known for her ability to form rapport with her patients and combines psychopharmacology and psychotherapeutic interventions to obtain the best outcomes. Dr Melidonis accepts patients aged 17 years and over. Dr Menendez is a general adult psychiatrist and fellow of the Royal Australian and New Zealand College of Psychiatrists. He was previously Deputy Director and Senior Staff Specialist at the Macarthur Mental Health Service in NSW from 1996 to 2008. Dr Menendez was also a Conjoint Lecturer at the School of Psychiatry, University of NSW, from 1996 to 2008. Dr Menendez has extensive experience in the diagnosis and treatment of mental health disorders and provides both psychopharmacology and dynamic style individual psychotherapy. Dr Menendez accepts referrals for patients 18 years of age and over. Dr Kim Nguyen is a graduate of the University of Adelaide and a fellow of the Royal Australian and New Zealand College of Psychiatrist. She has a wide range of interests in adult psychiatry, particularly mood, anxiety and psychotic disorders. Dr Nguyen has worked as a consultant psychiatrist at Campbelltown and Goulburn Hospitals. She was the Medical Superintendent of Chisholm Ross Centre. She is also a guest lecturer at The School of Medicine, Western Sydney University. Dr Nguyen accepts referrals for patients from age 18 and above. Professor Gordon Parker AO is one of Australia’s foremost Psychiatrists. He is currently Scientia Professor of Psychiatry, University of New South Wales and was Executive Director of the Black Dog Institute from 2002-2011. He was, for nearly two decades, Head of the School of Psychiatry at UNSW and Director of the Division of Psychiatry at Prince of Wales and Prince Henry Hospitals. Professor Parker’s research has focussed on modeling psychiatric conditions (depressive, bipolar and personality disorders) and examining causes, mechanisms and treatments for mood disorders. Professor Parker is the Clinic’s Peer Review Consultant. During Peer Reviews our team of clinicians have the opportunity to present patients to Professor Parker with a view to reaching a “consensus” as to the most appropriate diagnosis / treatment. Professor Parker does not see patients individually at the clinic. Dr Black is a consultant psychiatrist and Fellow of the Royal Australian and New Zealand College of Psychiatry who gained her undergraduate and postgraduate education at the University of Sydney. 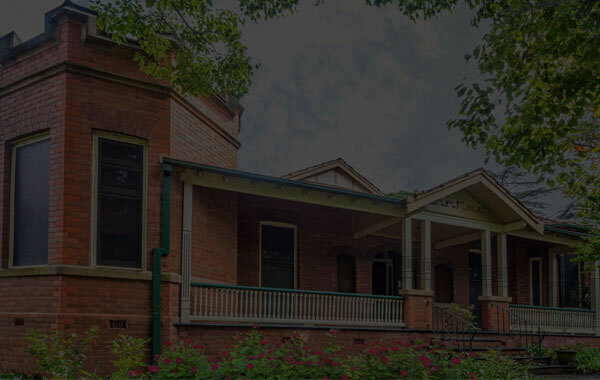 Experienced in general psychiatry in both public and private mental health services in NSW, Dr Black is also currently associated with the Black Dog Institute. Dr Black has broad experience in mood and anxiety disorders, and psychosis including where there is a background of trauma or borderline personality type traits. With a collaborative approach and following comprehensive assessment, Dr Black will then draw on a range of psychological therapies combined with pharmacological treatment so that an individual may experience enhanced relationships and lifestyle and achieve their chosen recovery goals. Dr Jane Tubby is a Child, Adolescent and Family Psychiatrist. She graduated in medicine from the University of London, and completed postgraduate training in psychiatry in Sydney. She is a fellow of the Royal Australian and New Zealand College of Psychiatrists, and a member of the Faculty of Child and Adolescent Psychiatry. Dr Tubby has extensive experience in managing adolescents and their families in both inpatient and community settings. She utilising both psychotherapeutic and psychopharmacological techniques in the context of the family system. Dr Tubby is happy to accept referrals for young people aged between 12 and 18. Dr Michael Williamson is a consultant psychiatrist and psychotherapist now working in private practice after a lengthy experience in the public mental health system. He was one of the foundation members of the Australian and New Zealand Association of Psychotherapy and twice New South Wales President. He has been Clinical Director of a number of Areas of the New South Wales Mental Health Service. Dr Williamson has had extensive experience in the psychotherapy of severe Borderline Personality Disorder and developmental trauma-based psychological illnesses, as well as military and police PTSD. Dr Williamson has been a long term member of the Faculty of the University of Sydney Master of Medicine Program which teaches the Conversational Model. He was a Senior Lecturer in Psychiatry at the University of Newcastle, Australia, and Clinical Associate Professor of Psychiatry at the University of Western Sydney before moving to private practice. Practitioner prior to making an appointment. © Copyright 2017 Gordon Clinic. All rights reserved.